Herdade da Aroeira is located in a preserved area, 25km from the centre of Lisbon and just 600 meter from the beach. It is the largest housing and golf complex in the Greater Lisbon area. The estate covers 350 hectares, has thousands of pines and several lakes to go with a temperate microclimate. There are two 18-hole championship golf courses, Aroiera I and II) a golf school, a friendly clubhouse with snack-bar, bar and golf shop, as well as apartments and villas. 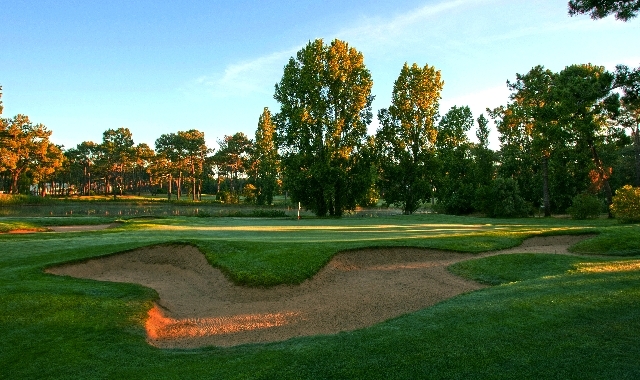 Aroeira I is a 18-hole course designed by architect Frank Pennink and opened in 1973. Specialists say it is one of the best in Europe and it hosted the Portuguese Open in 1996 and 1997 and a number of Ladies Opens.